James Bond Martini - Martini Shaken not Stirred - Are Martini's Healthy? The most famous martini drinker of them all, James Bond, preferred his martinis shaken, not stirred. 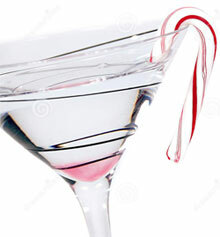 And he preferred them ice-cold, so cold that the bartender would risk frostbite when shaking the martini in a shaker. To shake the martini vigorously in ice was thought to alter the drink’s molecular structure and eliminate the oily mouth feel from the gin. Shaking also made the drink temporarily cloudy as tiny oxygen bubbles appeared. Seems James was onto a more healthy technique, as well. It appears that shaking a martini produced the most antioxidants. Of course, James Bond used both vodka and gin in his martinis and the resulting antioxidant effect is not known. "A dry martini," he said. "One. In a deep champagne goblet." "Just a moment. Three measures of Gordon's, one of vodka, half a measure of Kina Lillet. Shake it very well until it's ice-cold, then add a large thin slice of lemon-peel. Those martini drinkers preferring their drink stirred believed that to shake a martini was to “bruise” the gin. Stirrers like a clean and clear martini – no clouds here please. Some will add a dash or two of club soda so as to “encourage” the vermouth to cling to the sides of the martini glass. Simple. Quiet. Understated. Those that prefer a "shaken" martini understand that aerating it dissolves the vermouth. In addition, a "shaken" martini is said to be colder than a stirred one and, as such, comes in handy when drinking a vodka martini. 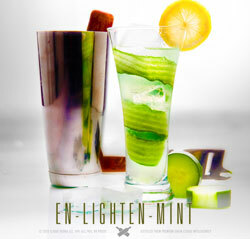 The shaking effect will ice the vodka and produce a better "taste". Of course, it's the taste that is diminished the icier the vodka gets. The Dukes Hotel Cocktail Bar in Mayfair, London, England, is where Ian Fleming concocted the famous line "shaken, not stirred" in reference to how James Bond, his fictional British Secret Service agent, preferred his martinis. The phrase was first used in Fleming’s book, Diamonds Are Forever, written in 1956. Interestingly, James Bond did not use the phrase in Diamonds Are Forever. He first used it in Dr. No, written two years later, in 1958. In the book You Only Live Twice, written in 1964, the phrase reverts to "stirred, not shaken". What Was James Bond’s Martini Called and How was it Prepared? “A dry martini,” he said. “Just a moment. Three measures of Gordon’s, one of vodka, half a measure of Kina Lillet (French aperitif).